Pierre Payeur received his Ph.D. degree in Electrical Engineering from Université Laval, Quebec City, Canada, in 1999. Since then, he has been a Professor at the School of Electrical Engineering and Computer Science, at the University of Ottawa, Ontario, Canada. He is the founding director of the Sensing and Machine Vision for Automation and Robotic Intelligence (SMART) Research Group, and a founding member of the Video and Image Processing, Computer Vision, and Autonomous Systems (VIVA) Research Laboratory, as well as the faculty advisor for Advanced Robotics Innovations Society in Engineering (ARISE) student club. Dr. Payeur serves as Graduate Programs Coordinator for the Ottawa-Carleton Institute for Electrical and Computer Engineering, and was previously Program Coordinator for undergraduate Electrical Engineering studies. A large part of his research work is performed in close collaboration with companies having activities in industrial automation, vision sensing, image processing, and robotic applications, and his research is financially supported by all major granting agencies. Dr. Payeur has published over 150 technical papers and supervised over 70 researchers at the postdoctoral, Ph.D., Master's, and research engineer levels. He serves as co-chair of TC-28 Technical Committee on Instrumentation for Robotics & Automation of the Institute of Electrical and Electronics Engineers (IEEE) Instrumentation and Measurement Society. He is the principal organizer of the IEEE International Symposium on Robotic and Sensors Environments (ROSE) conference series since 2005. 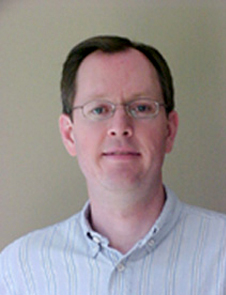 He serves on the editorial board and as reviewer for several journals and transactions on instrumentation and measurement, computer vision, sensing and robotics, and as technical program committee chair and committee member on numerous international conferences in the same fields. He is a member of the Ordre des Ingénieurs du Québec, as well as a member of the IEEE Robotics and Automation Society, and the IEEE Computational Intelligence Society.